Originally published in the Medical Sentinel 2002;7(1):10-15. Copyright ©2002Association of American Physicians and Surgeons (AAPS). Our country is rotting. It is sick with a disease so shocking that we turn our faces from it in dread. crime, homosexuality, and other immoral activities. During the Korean War, large amounts of drugs were smuggled into the American camps for the main purpose of weakening the American war effort. The success of this Chinese communist ploy did not go unnoticed by Soviet Leader Nikita Khrushchev. According to Dr. Joseph Douglass, author of Red Cocaine: The Drugging of America, Khrushchev ordered a joint civilian-military study involving Soviets and Czechoslovakian officials to carefully analyze the effects of narcotic trafficking on Western society. (1) He was particularly interested in the effects on labor productivity, education, the military, and the Soviet bloc's intelligence operations. One of those privy to these early plans was General Major Jan Sejna, a member of the Central Committee, the National Assembly, the Presidium, and a member of the main Political Administration. His most important position, according to Dr. Douglass, was as secretary of the powerful Defense Council, which was at the top of decision making bodies in matters of defense, intelligence and foreign policy. These facts concerning the use of drugs to undermine the West, while coming mainly from General Sejna, also derives from other reliable sources as well. Khrushchev's analysis was approached in terms of a long-range strategic operation. As part of this analysis he had scientists at the Academy of Sciences study the effects of drugs over several generations, information that would later be of great value. According to the plan formulated in 1955-1956, the targets of this policy were to be the United States, Canada, France, and West Germany. The plan contained five principal programs; the third of which included infiltrating organized crime syndicates and establishing international drug and narcotic trafficking. By 1960, the Soviets had infiltrated over fifty organized crime syndicates, which were to be their distribution channels to the West. In order to learn what the West knew about the effects of psychotropic drugs on people, Khrushchev had his agents infiltrate medical and scientific centers, especially those connected to the military. The final leg of the plan was to establish training centers for drug traffickers, which included Czech and Soviet intelligence guidance. The centers were jointly managed by the KGB and Czech officials from the Ministry of Interior, and included training for drug production, distribution, and money laundering. Over 25,000 trainees graduated from these training centers. Most of these graduates were not Communist Party members or even interested in politics, but rather were criminals. By agreement, a portion of the money generated by the drugs was to be skimmed off and returned to the Soviets. The plan was to destroy the moral foundation of Western society and weaken its ability to resist future Soviet military invasion. At a secret meeting held in Moscow in 1962, attended by Khrushchev and Leonid Brezhnev, it was explained that American schools were to be high priority targets, since they would produce future American leaders. (2) Also targeted was the American notion of the work ethic, as well as pride and loyalty to the United States. By drowning the country in illegal drugs, the Soviets would reduce the influence of religion, the foundation of Western stability and morality. The result would be social chaos. This plan was classified above top secret, even higher than the yearly intelligence plans. Interestingly, a special propaganda and disinformation arm was set up so that the blame for the deterioration of society would be directed toward American institutions and traditions. Soviet and Czechoslovakian scientists participated heavily in research and development of newer and more powerful addicting drugs, including drugs that could make masses of people highly susceptible to suggestion and propaganda. According to General Sejna, they were highly successful in producing these drugs. During the Vietnam War, the Soviets tested some of the more elaborate drugs on American POWs. Many POWs were sent to the Soviet Union for long-term observation. During a briefing by the Soviet Health Administration to members of the Czech Defense Council, it was revealed that the newer drugs were longer lasting and caused long-term cognitive damage, including destroying the ability of humans to think logically. Other drugs left their victims in a state of dysfunctional optimism, where they were unconcerned even with permanent confinement. Another area of significant interest to the Soviets was the effect on the offspring of the drug user, especially on their ability to learn. (3) The ultimate goal was to destroy future generations as well. Cuban dictator Fidel Castro insisted they needed to push the drugs harder and target high school students and younger. He pointed out that by saturating the United States with drugs, crime and general erosion of Western moral values would result. They all agreed that drugs would lead to a chaotic society that could not be controlled by the government of the United States. 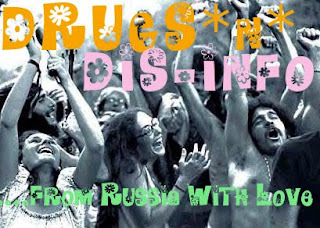 By the mid-1960s, Soviet agents, trained organized crime syndicates and their leftist accomplices in the United States, initiated the infiltration of drugs into the United States on a grand scale. This was a period of protest and rebellion by American youth, much of it inflamed by the leftist elements in this country. Drugs and student rebellion went hand and hand. The drug culture was considered by most as an American creation that sprung up de novo, just as occurred with the "anti-war" protest. Soviet involvement was kept from the public eye and was never reported on by the media. Several recent books have attested to the heavy infiltration of virtually every segment of our society by Soviet agents. (4-6) The propaganda and disinformation arm of Soviet intelligence went into full swing, aided, either willingly or unknowingly, by the American media. The mantra continued throughout that illicit drugs were the result of a youth rebellion based on a wholesale rejection of outdated and oppressive social traditions. During the sixties and seventies, over 300 Russian criminal gangs operated internationally, 26 of them in the United States. (7) It was during this period that the KGB trained the Colombian drug cartel in drug production, money laundering, drug smuggling, and distribution. By the mid-1970s, the United States faced a major problem. Our cities were overwhelmed with drugs, crime was rampant, and there was a growing loss of respect for law and order. Suddenly, America witnessed a new phenomenon, babies as the victims of the drug culture on a grand scale. Women became wholesale users of this new drug and would do anything to obtain it, including selling their bodies for a fix. Babies born to crack mothers began to fill inner city hospitals, with each baby costing from $100,000 to $200,000 in terms of medical care costs. According to Jared Taylor, author of the book Paved With Good Intentions, this new generation was referred to by one reporter as a bio-underclass. (9) This is just what the Soviets wanted. The first wave of "crack babies" are now attending school, most unable to cope socially and intellectually. The cost of caring for one of these children in New York is over $17,000 a year. (10) From a period extending from five years after 1985, New York State alone has produced 467,000 such children, more than the entire population of Birmingham, Alabama. It has been estimated that some 40 to 60 percent of students in some inner city classrooms will be crack children in the near future. As a result, child care centers are overwhelmed, and the taxpayer is picking up the tab. The statistics are not much better among the upper socioeconomic classes. Our universities are hot beds of drug use. Wealthy youth from well-to-do homes are now joining the inner city youth in this race for self-destruction. We are paying a heavy price in terms of lost talent and intellectual and moral decline. Test scores are now adjusted down to give the appearance that our students are really smarter than they are in truth. It is getting more and more difficult to find qualified workers and professionals to fill the more intellectually demanding jobs. Blue-collar workers, likewise, are increasingly undependable, untrustworthy and unable to carry out even simple tasks, all predicted by Khrushchev and his henchmen in the beginning. Another effect of this strategic war policy is the spread of epidemic diseases that not only wreck the economy, but also leave a generation unable to care for themselves and reach their full potential in life. It also drastically reduces the number of healthy young men available for fighting a war. The Soviet drug war has produced an epidemic of hepatitis, AIDS, venereal diseases and highly resistant tuberculosis. It has also filled our mental institutions, as well as our streets, with psychological cripples who are not only an economic burden, but add substantially to the crime and violence in our cities. This wave of crime has devastated our criminal court system and our prisons. Court dockets are so clogged with drug-related cases that there is little time for other cases to be properly adjudicated. As a result, many of the more serious criminals --- murderers, child molesters and rapists --- are being set free after only a short time in prison, if they go at all. Between 1989 and 1990, U.S. taxpayers spent $6.7 billion on new prisons, 73 percent more than the year before. (14) Today, continuous prison construction is assured in virtually every state. We have a greater percentage of our population behind bars than any industrialized country in the world, almost one million prisoners. Most are there because of drug convictions. Another product of the Soviet drug war is the massive increase in gangs in our cities. Gangs are no longer a phenomenon of the large cites, they now exist in every city, town and village in America. Ohio alone has 13,000 gang members dispersed among 700 different gangs. Nationwide there are over 600,000 gang members, larger than most national armies. These gangs are highly organized and operate as interlocking networks throughout the United States. Recently, a Chicago gang ran a political candidate in a local election, complete with campaign posters, TV ads and political slogans. In my city of Jackson, Mississippi, representatives of the Crips, a Los Angeles gang, recently visited to recruit local blacks into their national network of gang members. Police forces nationwide are overwhelmed. Our police refuse to patrol the streets at night in gang held territories and as a result citizens enter at their own risk. In 1979 there were an estimated 70,000 juveniles in prisons. Today, there are over 100,000. Our police are outmanned and outgunned by these gangs. More and more citizens are depending on gated subdivisions and private guards for protection. Another ramification of the Soviet-initiated drug war policy was to create a totalitarian mind set within the United States government. We have been witnessing this home-grown terror in the form of violent police raids, confiscation of property from innocent citizens, the killing of innocent citizens during these raids, and a complete alteration in our financial system, including banking, that denies the basic rights to privacy that Americans have come to expect. Even worse, it makes criminals of the innocent by creating so many laws and statutes that restrict normal commerce and property ownership. This has always been the modus operandi of the Soviets. In fact, it is the very purpose of terrorism, that is, to force the government to respond to the threat by becoming oppressive. Over the past thirty years we have seen the gradual loss of freedoms that previously we have taken for granted, freedoms that hundreds of thousands of brave Americans have fought and died to defend. With newer high-tech methods of invading our privacy, all in the name of controlling drugs, we are even losing our privacy among our families. America looks more and more like George Orwell's 1984. The Soviet-sponsored drug culture has had a devastating effect on our schools as well. In New York City alone, violent crime against elementary school teachers escalated 54 percent from 1987 to 1989. (15) Children are carrying guns, knives and other weapons to school and using them more often than ever. The moral decay engineered by Khrushchev's plan, and carried out by his successors, has worked exceedingly well. Our inner city hospitals and morgues are filled with the victims of this war on Western society. The organized crime syndicates that were used to create this nightmare world in our society have grown in power and influence, reaching deep into the government itself. During the administration of Bill Clinton, syndicate crime families were given free access to the White House and following his departure they were given valuable pardons for their crimes. It was during his administration that thousands of pieces of military weapons and hardware were allowed to be unloaded from Chinese ships, destined to Los Angeles gangs. At a 1971 disarmament conference in East Berlin, an East German official stated, "Psychotoxins are weapons directed against the further existence of an independently thinking society. "(18) Today we are reaping the fruits of that policy. Our population is increasingly apathetic and little seems to jar them from that apathy. Revelations concerning corruption in the Clinton administration, the theft of our nation's secrets by Chinese spies, and the selling of our technology to our enemies receives little attention by the general public and little or no outrage. In essence, they just want to be left to their pleasures and money making. By 1960, the Soviets were working on drugs that would limit intellectual development. Many of these drugs were tested on POWs, diplomats and Westerners traveling to Soviet bloc countries. By 1961 Moscow had gathered the chiefs of the Eastern bloc intelligence services and directed them to concentrate on psychochemicals to be used against the West, especially its youth. (19) It was during this time that Khrushchev directed his intelligence services to take over Fidel Castro's revolutionary movement and use Cuba as a base of operations for the drug war against the United States. In 1979, there appeared in Orange County, California, a new form of the prescription drug fentanyl called alpha-methyl-fentanyl. Soon, seven more fentanyl analogues appeared, all very pure and of uniform dosage. (20) The quality was equal to that produced by a major pharmaceutical company rather than something produced in a backroom bathtub lab. Today our streets are being flooded with a multitude of "designer drugs," the latest being ecstasy. Ecstasy is an amphetamine derivative called methylenedioxymethamphetamine. Like its cousin MDA or methylenedioxyamphetamine, it causes a feeling of physical and mental well-being. As a stimulant it increases one's sense of strength and endurance, hence its use as the drug of choice during "rave parties." Its duration of action is less than MDA and produces slightly less next day fatigue. It is known that methamphetamine causes depletion of brain neurotransmitters in the same area of the brain affected by Parkinson's patients, the striatum. (23) It also increases free radical generation in this critical area, leading to an increased risk of developing Parkinson's disease later in life. (24) During rave parties, in which ecstasy-intoxicated individuals dance throughout the night to a point of physical collapse, enormous amounts of free radicals are generated, greatly increasing their risk of developing degenerative diseases. Progressive, often debilitating fatigue, also occurs in frequent users of the drug, as well as significant immune suppression. (25) Sudden death, especially in those combining it with other neuroactive drugs, can occur. Our youth are combining so many powerful neuroactive drugs, beginning at such as young age, that no one knows the eventual effects that may occur pathologically and psychologically. But, we can be sure that severe health-related effects are inevitable. I predict the widespread use of these drugs, many of which increase free radical generation and elicit excitotoxic reactions in the brain, will lead to a society filled with young people crippled by neurodegenerative diseases. They will be unable to work, think clearly, and will essentially become wards of the state, exactly what the Soviets wanted. Remember that these are the members of the next generation, a generation that will either lead America to prosperity or to ruin. Instead of spending billions on building prisons, we will spend billions building mental institutions and total care facilities to hold all of those ruined neurologically and physically by these drugs. Several of the drugs commonly used on the street by young people, as well as by both white and blue-collar workers, create individuals who are unable to think for themselves, and who cannot reason logically, again, exactly what the Soviet scientists were developing in their labs. It is interesting to note that some of these drugs, such as 5-MeO-DMT, create a sense of complete dissolution of reality. (25) These are the types of drugs being sought after by our youth. One of the drugs considered benign by modern-day standards is marijuana. In truth, it is far less benign than is being told to the public. The active component, tetrahydrocannabinol or THC, has been shown to cause persistent seizure discharges in the amygdala, even years after cessation of exposure. The amygdala is a vital nucleus in the limbic network, the brain's system of emotional elaboration. Frequent marijuana users are often without motivation and quite apathetic. Many heavy users are unemployable, except for the most menial task. The ultimate effect on mental function varies with the intellectual capacity of the individual prior to exposure. With a nation filled with citizens that are unable to think logically and clearly, one must recall what Thomas Jefferson told us 200 years ago: "If a nation expects to be ignorant and free, it expects what never was and never will be." Much of the Soviet program directed at controlling its own society as well as the rest of the world, centered around the early findings of Ivan Pavlov (1849-1936). Pavlov found that if you subjected a dog to very strong stimuli, and to the limit of its endurance, it became more suggestible to conditioning. At that stage, new ideas could be easily installed. But most important, also at that point the animal could not be deconditioned. He also found that by making the stimuli in such a way that the animal had no frame of reference, the process was even easier. Drugs can produce this loss of reference. One of the most outspoken proponents of human control by technology is Dr. José M.R. Delgado, an eminent neuroscientist, who in 1969 wrote the book Physical Control of the Mind: Toward a Psychocivilized Society. (28) In the 1970s, Delgado discovered the centers for anxiety, pleasure, euphoria, and rage in the human brain. Using very low frequency stimulation from a distance, he demonstrated that he could induce sleep or manic behavior in monkeys. A 1982 Air Force review revealed that the U.S. military was also experimenting with mass behavior control techniques. (29) In this review, ELF (extra-low frequency radiowaves) were proposed for use in "dealing with terrorist groups, crowd control and controlling breaches of security..." and that it could also be used "to produce mild to severe physiological disruption or perceptual distortion or disorientation." It is interesting to note that the Soviet bloc also took great interest in electromagnetism as a weapon of thought control. In 1967 the chief of the Sciences Administration of the Czech Ministry of Defense stressed the importance of electromagnetism as a weapon, especially for its psychological and physiological effects at a distance. The quest for psychotropic drugs as mind-control agents continues to this day in Russian laboratories as well as our own. The notorious laboratory-12 in Moscow was used throughout the cold war to produce agents for assassination and psychological control. Most of the work done by our own government is highly classified and unlikely to reach the public view. Lenin recognized early on that Ivan Pavlov's research on conditioning held the secret to the eventual success of the communist system over the capitalist world. Toward the end of his life, Pavlov was "invited" to the Kremlin by Lenin and was told to write a summary of his life's work, especially tailored for use in humans. Lenin carefully analyzed the completed manuscript, some four hundred pages. Afterwards, he told Pavlov he had "saved the Revolution" and that his work had secured the world for communism. Lenin knew that communism (collectivism) demanded the control of the human mind, in essence, the creation of the new "Soviet man." In this paper, Pavlov dealt with the common human reaction to shocking information, in which people respond, "I don't believe it." He called this reaction "conditioned inhibition." Edward Hunter, in his book Brainwashing: From Pavlov to Powers, states the longer this process of "conditioned inhibition" goes undetected, the more difficult it will be to recognize and counteract. (30) A neuropsychiatrist has referred to this as a national neurosis, primarily characterized as a loss of indignation over shocking national events. Those few alert to the problem speak of national apathy. We have seen that documented evidence and direct eyewitness testimony has unveiled a nefarious program created in the former Soviet Union that exceeds even the far-reaching imaginations of Hollywood writers. It was a program that was designed to destroy a civilization for many generations to come; to create chaos, disease epidemics, violence, broken homes, ruined lives, and the eventual collapse of freedom itself. Because of government and media unwillingness to expose this plot early on, most are now convinced that the drug problem in our world arose as a matter of natural social decay, and that no solution is in sight. As a result, whole countries are now falling to the drug lords and their handlers. Colombia has become the first narco-state. Mexico may not be far behind. Many of our cities are now helpless before the drug bosses and their henchmen. Illegal immigrants pour across our borders, many of whom are drug dealers and crime bosses. Not surprisingly, after spending billions on a war on drugs, officials are admitting defeat. We have, for the first time in our nation's history, been defeated by a foreign enemy on our own soil. What makes this all so sad is that it is not the first time that we failed because our officials in government and leaders in our media refused to inform the American people of the truth behind this war. I am reminded of the final words in the book by James E. Haynes and Harvey Klehr, Venona: Decoding Soviet Espionage in America, in which they observed that because the government wanted to protect the secret of deciphering Soviet radio transmissions, they kept from the public the proof that Soviet agents had heavily infiltrated all branches of our government. (31) In essence, confirming that Joseph McCarthy and others were indeed right all along. They continued this policy of secrecy long after the Soviets discovered the leak, and the secret no longer needed to be protected. 1. Douglass JD. Red Cocaine: The Drugging of America. Clarion House, Atlanta, GA, 1990, pp. 9-10. See also the updated edition published in England in 1999. Red Cocaine: The Drugging of America and the West. 4. Haynes JE and Klehr H. Venona. Decoding Soviet Espionage in America. Yale University Press, New Haven, CT, 1999. 5. Klehr H, Haynes JE, Anderson KM. The Soviet World of American Communism. Yale University Press, New Haven, CT, 1998. 6. Klehr H, Haynes JE, Firsov RI. The Secret World of American Communism. Yale University Press, New Haven, CT, 1995. 7. Lunev S. Through the Eyes of the Enemy. Regnery Publishing, Inc, Washington, DC, 1998, p. 15. 8. Crack. The New York Times, May 28, 1989, p. E14. 9. Taylor J. Paved With Good Intentions. The Failure of Race Relations in Contemporary America. Carroll & Graf Publishers, Inc., New York, NY. 11. Let the trumbrils roll. The Economist, April 1, 1989, p. 20. 12. Rosenthal E. U.S. is by far the homicide capital of the industrialized nations. The New York Times, June 27, 1990, p. A10. 13. Bennett WJ. The Index of Leading Cultural Indicators. Facts and Figures on the State of American Society. Simon & Schuster, New York, NY, 1994. 14. Smith R. New York prison boom, Newsday, October 8, 1990, p. 14. 15. Lee F. New York city schools see crime rising in lower grades. The New York Times, April 24, 1990, p. A1. 16. Douglass JD and Livingstone NC. America The Vulnerable. The Threat of Chemical/Biological Warfare. Lexington Books, MA, 1987, p. 107. 17. Douglass JD. Red Cocaine, op.cit., p. 227. 18. Douglass JD. America the Vulnerable, op. cit., p. 51-52. 21. Ricaurte GA, Schuster CR, Seiden LS. Long-term effects of repeated methylamphetamine administration on dopamine and serotonin neurons in rat brain: regional study. Brain Res 1980;193:153-163. 22. Zakzanis KK, Young DA. Memory impairment in abstinent MDMA (Ecstacy) users: a longitudinal investigation. Neurology 2001;56:966-969. 23. Ellison G, Ellison MS, et. al. Long-term changes in dopaminergic innervation of caudate nucleus after continuous amphetamine administration. Science 1978;201:276-278. 24. Cadet JL, Sheng P, et. al. Nitric oxide and superoxide radicals as mediators of toxicity of amphetamine analogs. In Packer L, Hiramatsu M, Yoshikawa T. (Eds), Free Radicals In Brain Physiology and Disorders. Academic Press, San Diego, CA, 1996, pp.441-448. 25. Weil A and Rosen W. Chocolate to Morphine. Houghton Miffen Company, Boston, MA, 1993, p. 101-102. 26. Zhu LX, Sharma S, Stolina M, et. al. Delta-9-tetrahydrocannabinol inhibits antitumor immunity by a CB2 receptor-mediated, cytokine-dependent pathway. J Immunol 2000;165:373-380, and Sridhar KS, Raub WA, Weatherby NL, et. al. Possible role of marijuana smoking as a carcinogen in development of lung cancer at a young age. J Psychoactive Drugs 1994;26:285-288. 27. Skinner BF. Beyond Freedom and Dignity. 28. Delgado JMR. Physical Control of the Mind. Toward a Psychocivilized Society. Harper & Row, New York, NY, 1969. 29. Becker RO. Cross Currents. The Perils of Electropollution. Jeremy P. Tarcher, Inc., Los Angeles, CA, 1990, pp. 297-304. 30. Hunter E. Brainwashing. From Pavlov to Powers. The Bookmailer, New Jersey, 1960, p. 324. 31. Haynes JE and Klehr H, op. cit., pp. 336-337. 32. Huxley A. Brave New World Revisited. Harper & Row, New York, NY, 1958, p. 74. Dr. Blaylock is a member of the Editorial Board of the Medical Sentinel; Clinical Assistant Professor, Department of Neurosurgery, University of Mississippi at Jackson; President of Advanced Nutritional Concepts in Jackson, Mississippi; and author of Excitotoxins, The Taste That Kills (1994) and Bioterrorism: How You Can Survive (2001; Physician's Preference, Inc., Katy, TX, 877-351-0593, www.bioterrorismbook.com). His e-mail is: dodd@netdoor.com. 2010 Simplex Enews. All rights reserved.